Just heard the news that my guru, Lama Zopa Rinpoche has requested all the 3000 monks of Sera Je Monastery to do puja for the 66 million turkeys that were killed for Thanksgiving. Rinpoche wrote a 4-page dedication and made 20rs offering to each monk asking them to pray for the turkeys. The below is an excerpt of the message from Lama Zopa Rinpoche (at his residence in Kachoe Dechen Ling, California), taken from FPMT's archives. 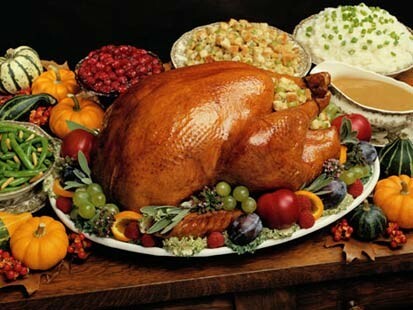 I was thinking about the 46 million turkeys that are killed for Thanksgiving Day. I felt I must do something for them, not have a dinner party at which we serve dead turkey but something beneficial. At first I thought they might all be killed on that day itself but later I found out that they’d been killed some time before that. I made a divination as to what would be the most beneficial thing to do for the turkeys and found that Medicine Buddha puja came out best, so the sangha at Kachoe Dechen Ling, Fabrizio Pallotti and I did an extensive Medicine Buddha Puja for them. Another possibility could have been for us to do prostrations to the Thirty-five Buddhas, reciting these buddhas’ names with prostrations, to purify the negative karma of the turkeys and all other sentient beings, including the people who killed the turkeys, but in this case it came out better to do Medicine Buddha puja. 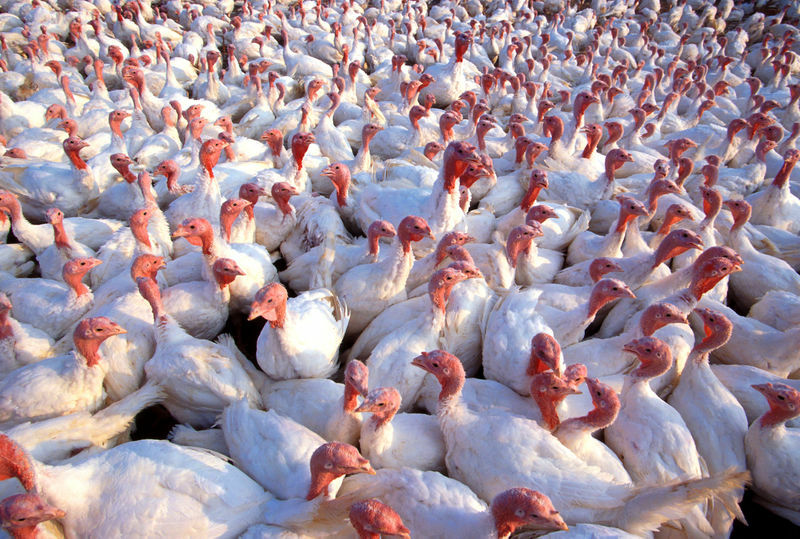 Probably, in previous lives, many millions of these turkeys were humans who killed turkeys for Thanksgiving. This means that unless they change their mind, the people who killed this year’s turkeys will be reborn as turkeys in future and killed under similar circumstances. Perhaps as soon as next Thanksgiving, some of them will be eaten. It’s just like fish caught by fishermen; those fish are trapped in a similar cycle. They were fishermen in previous lives, were reborn as fish this time, and then got caught by another fisherman, who killed them and sliced them up. Turkeys are so powerless. If they could, I’m certain they’d demonstrate strongly against the humans who kill them. But if they did they’d probably get killed for that as well. Since God has compassion for all beings—the thought of the needs of all sentient beings— this would include our brother and sister turkeys, and all other sentient beings, including all the insects, as well—all sentient beings who suffer in order to support us and our happiness. If the animals could speak they would express themselves in many ways; they would demonstrate. We’d see them protesting on TV and on the cover of Time Magazine, demanding the right to live, to continue living, and be protected from being slaughtered in such huge numbers. If turkeys could, they would demonstrate against the slaughter of such vast numbers of their kind, demanding the freedom to live. Perhaps they would go to the United Nations and make strong requests for the freedom to live and not be killed for food. How would we feel if that many human beings were about to be killed? How terrifying it would be. If we put ourselves in the turkeys’ situation, if we think about it for a little while, if we reverse the situation, how would we feel if were in the situation that they are in? Then Lama Zopa Rinpoche, and the Sangha did an extensive, 6-hour Medicine Buddha puja for the turkeys that have been killed. Christmas is coming. 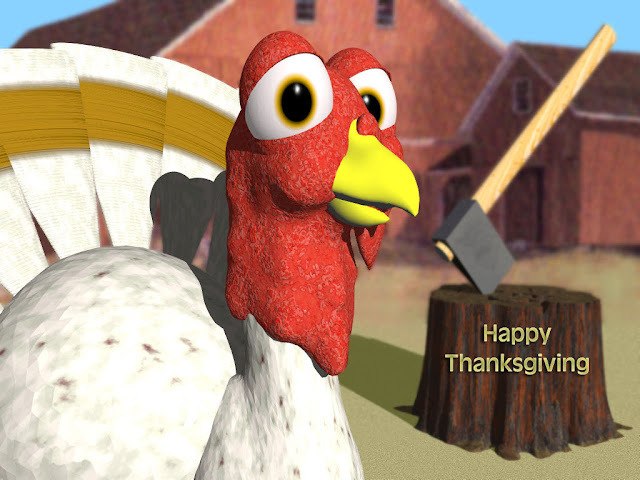 May this serve as a reminder to us before more turkeys are killed for our Christmas dinner.